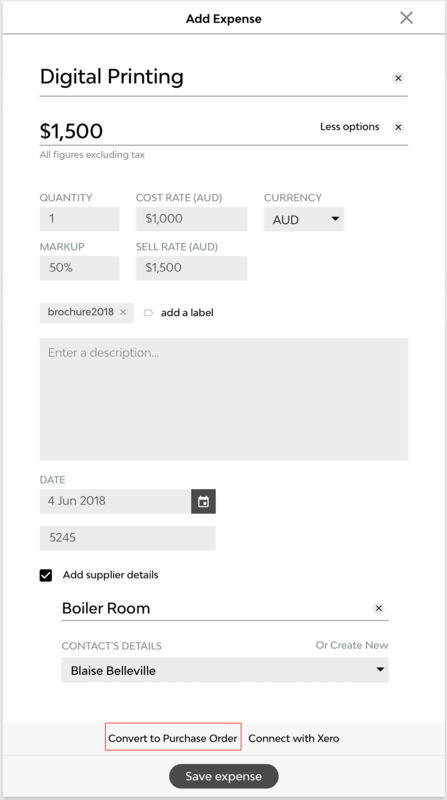 You can now create a Purchase Order and send it over to your supplier from within Streamtime via our Premium Plan. A much requested function, many suppliers demand a PO before they can start work. Streamtime allows you to create a PO directly from a job, in the same way you can create a Quote and Invoice. You can also convert an existing expense into a PO. From within a job in Streamtime, select the 'PO' option in the sidepanel to create a PO template. Select a supplier directly on the template. Add line item detail, qty and cost agreed with your supplier and send. Markups can be added in the sidepanel of the PO also - of course these won't be visible to your supplier. From the PO template itself, select 'Send to Xero' button in the upper right corner to export the PO over to Xero (as a Purchase Order). You are also able to export an expense from Streamtime to Xero. Expenses will appear in your Xero accounts package as a 'Bill'. Have suppliers in different countries? No problems - we now support multi currencies for PO's as well as Quotes and Invoices. Check out our dedicated article.